I'll be the first to admit that I am a bargain hunter. When it comes to shopping I try to avoid ever paying full price, unless of course I'm supporting solo artists or handmade crafters, but other than that, I'm like a dog with a bone, I don't give up until I'm satisfied I've found the best price. I love the hunt, scouring websites, calculating discount codes and shipping costs, laying in wait for sales, it's like a little challenge for me. Lame, maybe, but I've gotten some good deals lately that I've been so excited about, so I thought I would share some of my bargain hunting tips! It's been quiet around this little blog of mine, because I've been spending all my time on the hunt for all kinds of things for our house. 1. 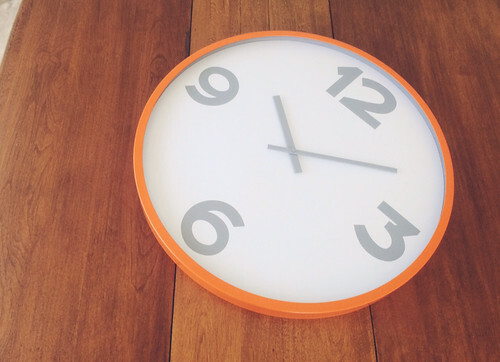 Patience is a virtue: when it comes to savy shopping I TRY to steer clear of impulse buying. My purchases are generally very calculated, especially when I'm shopping online. I know exactly what I want and I mull over things for weeks. I go on the hunt and when I see something I like, I bookmark it and wait. We all know that certain times of the year there are pretty great sales, so instead of getting click crazy and willingly paypaling all my money away, I wait, I stay connected via social media, and keep my feelers out for discounts. 2. Sign up to mailing lists: mailing lists might be a little annoying as they can overcrowd your inbox, but they are actually pretty helpful when you need things. Some of my faves are: Surf Stitch, they always seem to have great offers, as do Cotton On, Urban Outfitters and ASOS. They can also provide you with a lot of seemingly 'too good to miss out on' temptations, so will power is essential! Unless it's baby clothes, then will power is useless. 3. Join member only Sale websites: Some of my favourites are Temple & Webster, Ozsale and Mumgo. I love these sites, I'm sitting here now in a new pair of half price Birkenstocks from Ozsale and my feet are so thankful! I buy a lot of necessities from these sites, sheets, towels, nail polish (I mean who can say no to $9 O.P.I). Often I scan the brands that are on sale, if nothing catches my eye, I delete, because it is way to easy to get sucked in, but if there is something I've been chasing then great! It can be easy to get caught up in a good deal and buy way too much stuff you don't need just because it's a bargain, but try to use your head! Do you need it? Is it actually that good of a deal? How much is shipping? With these sites there if often a pretty long (3-4 week) lead time, so don't order from there if you need it ASAP (this is where point 9 helps). 4: Discount Codes: Did you know there are websites that often list a whole lot of current discount codes! Just google the brand or store you want to buy from and add discount codes. Sometimes you get nothing, sometimes you hit the jackpot! Things like free shipping are pretty common and that certainly saves some extra money when shopping online. 5: Google is your best friend: If I find something I like, I google it until the cows come home. I try to find the best prices and the best deals on shipping. It's just like trudging from store to store to compare prices, but way easier and less time consuming! Just make sure the site you order from is trustworthy, and that is where PayPal helps you feel a little more secure! 6. Follow shops and brands you like on Social Media: Often stores will announce their sales first to their social media fans, which means you get in first and secure the things you have been chasing, or they have special promo codes that they share only for their followers and fans! I can't tell you how many sales I've discovered just from Instagram and Facebook alone, it's a little bit of an addiction for me!! 7. Second hand doesn't mean second class! 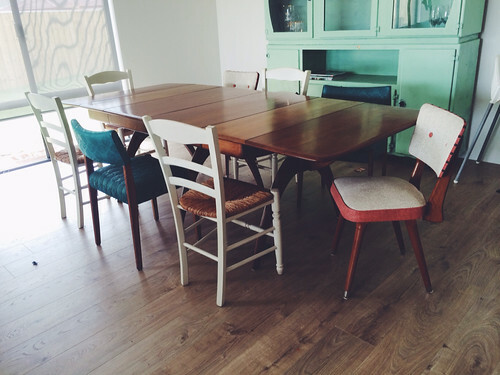 Some of my favourite household items have come from Ebay, Gumtree or garage sales. There really are some great treasures to be found, it just takes a bit of work and once again patience. I used to check ebay multiple times a week just looking for new furniture listings when we bought our first house. Most of the time, it paid off! 8. Check international stores: Because usually prices in Australia are ridiculously inflated. Did you know you can order shoes from Amazon.com, I got my last runners for under $100 including shipping, they retail here for over $300. My most recent international purchase was for two Muuto Unfold pendant lights for over our kitchen bench. I loved them from the moment I spotted them, but I was disheartened by the $280 price tag. I was determined to find them for a more affordable price! Finally, I happened upon the Scandanavian Design centre, jackpot! They were listed for $130 USD each, and then they offered free shipping to Australia if I spent over $300. 10. Bargain doesn't mean cheap and nasty: It can be so easy for the house to fill up with cheap and nasty throwaway crap! I try to avoid it at all costs. I guess I have somewhat expensive taste in things, but my budget doesn't quite meet my tastes, I'm not drooling over Louis Vuitton, my tastes aren't that expensive, but I've had to become a bargain hunter in order to actually be able to afford the things I love. I love things that are well made and last the test of time, and the test of children! We bought a little kitchen set from KMart the other day it was only $10, but then within minutes the kettle broke, we took it back and got another set and the same thing happened. Complete waste of $10, that sort of stuff makes me so mad, so I'm going to stick with the quality stuff! I think the way I feel about shopping is that you buy what you love, not just purely because it's on Sale, and it seems to work well for me, what works for you? 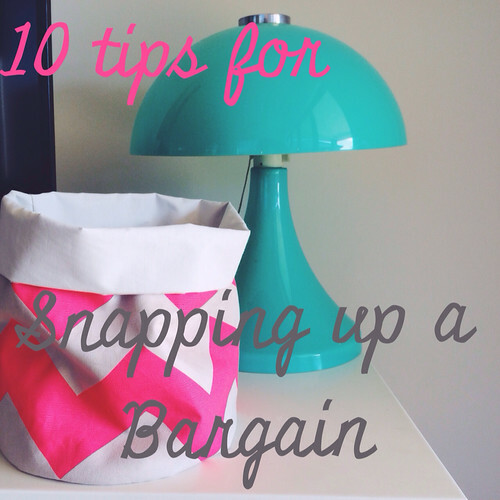 7 comments on "My top 10 tips for snapping up a bargain"
Great tips, although I reeeeally didn't need more excuses to scour the interwebs for bargains. I had thought though that you weren't allow to import shoes into Australia? I've tried buying shoes online before but there were always restrictions on those products being shipped to Aus. Maybe it's just an amazon thing? Oh, I didn't realise Amazon now shipped shoes to Australia. I have used a variety of US stores to get runners cheap (usually $100 cheaper than the same shoes here), but they started restricting shipping or not shipping certain brands here. I need to try Temple and Webster - have seen that mentioned around a bit now. You just have to make sure it is Amazon that is shipping them, not one of their sellers. some brands are restricted, but that depends on the brand! Mine are Sauconys! Haha! I know I'm sorry!! Just think, really you ARE saving money!! Although Joel tells me if I didn't look, I wouldn't know what I'm missing,, I say pfffft! Some shoe brands don't let you, like Vans! But a lot do, you just have to make sure it's coming from amazon, not one their sellers! Patience is really the hardest thing!! Haha especially if you think it might sell out eeeek! 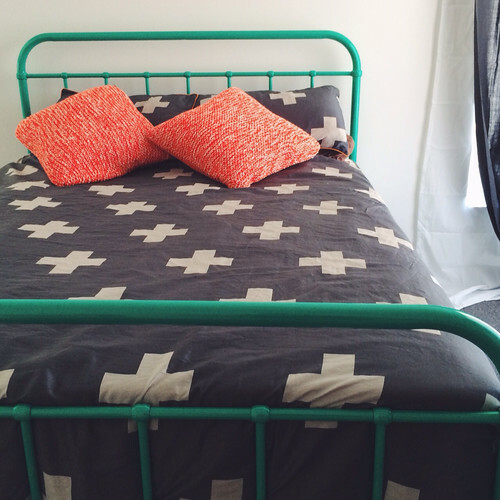 All Moved in: sort of!